This year, we’re predicted to eye-witness a number of technological breakthroughs. Be it Virtual Reality, Internet-of-Things or new blockchain implementations, the web is undeniably developing faster than ever. In order not to lag behind and loose the competitive game of business, you should upgrade your website the way it glues your site guests to the screens and makes them prefer your services over others. Today, we’re here to bring you the collection of 15 best new WordPress themes for apps landing pages and tech startups. What to look for when choosing an app landing page / tech startup theme? If you’re riding the wave of the latest web technologies, you should ensure that your website looks modern and brings your users an incomparable UX. So, first of all, you should thoroughly examine the UI of the templates available. Check out the articles on 2018 web design trends and opt for the theme that incorporates some of them neatly and to-the-point. Among the trends to look after come gradient and particle backgrounds, microinteractions, Material UI elements, etc. Secondly, you should have a clear vision of what the draws of the theme in terms of functionality are. Look for UX boosters, as UX is the second crucial concern that you should address when choosing an app/software theme. The next aspect to consider when choosing a modern template is the ease of its customization. The more handy tools to customize the theme you get, the quicker you’ll launch your website and the more you’ll be able to make it fit your needs. Finally, you shouldn’t discard such ever-present concerns as the documentation and support availability. If some developers offer them, why should you miss it? You never know what you may need in the future. We’re not about to write some lengthy paragraphs on WordPress greatness. If you’re into the world of technologies, you already know what it is and that it’s the most popular website running solution in the world. Let us just quickly remind you, that WordPress is the most comprehensive, easily extendable and pleasingly secure CMS that helped many website owners make it to the top. 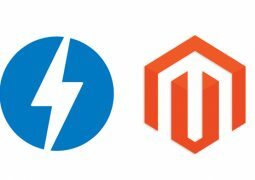 What’s more, nowadays, it’s simple to add e-commerce functionality to your WordPress website. So, you literally kill two birds with one stone if you go for this CMS. It’s time to see the 15 best WordPress themes for tech startups. We went an extra mile for you and made our best to present their main features in comprehensive language. Enjoy your journey! 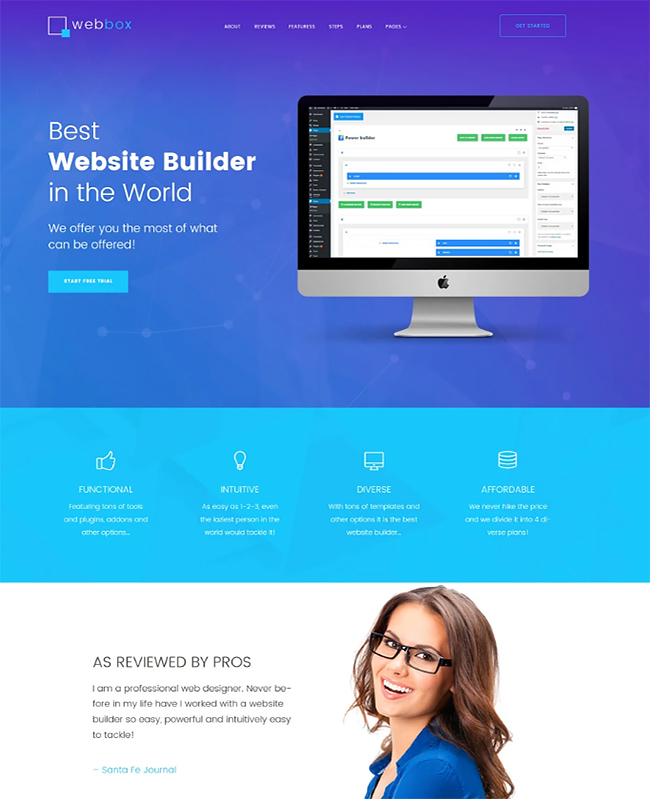 Arimo is one of the classic templates for the niche that skillfully employ the latest advances of web design and development. The theme’s UI merges the best of flat and material design, marrying simplistic elements into modern urban aesthetics. Moreover, the Arimo template is built to deliver you the relevant search engine rankings, as well as enliven your site’s conversion rate with optimized CTAs and buttons. Needless to say, Arimo is built with mobile-first approach in mind. The theme looks and performs equally well across a wide number of devices. Devising Arimo, developers took care of delivering your site guests the UX that helps them get the hang of your website. For example, modern premium plugins, such as Cheery Projects, Cherry Services and others, upgrade the UX of your guests on all the website pages to provide for a streamlined browsing experience. Finally, Arimo template is the one that’s easy to customize thanks to Power Builder and exceptional content modules that you can use to create website content in a jiffy. 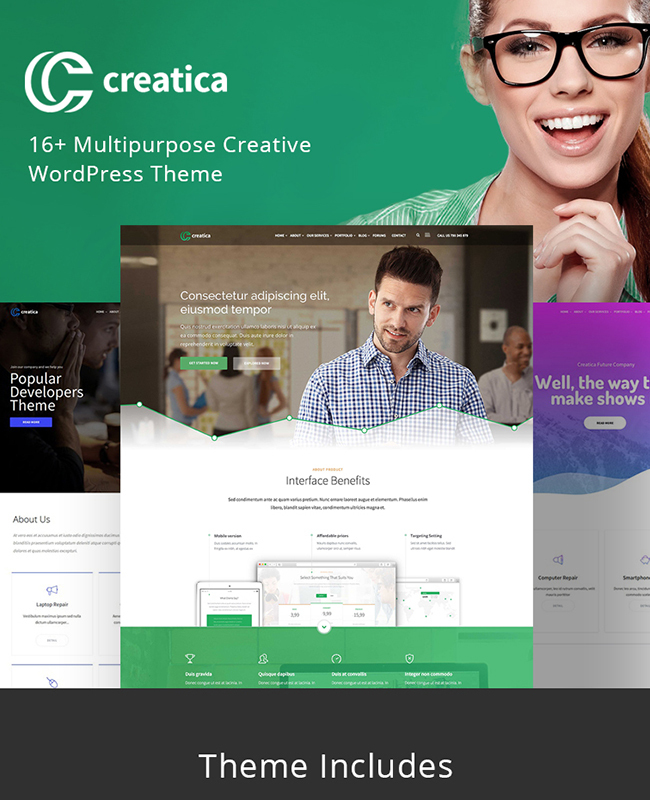 Creatica is an exceptional WordPress theme that you can use to create literally any kind of a website. It’s a virtual treasury where you can pick right the gem you need. 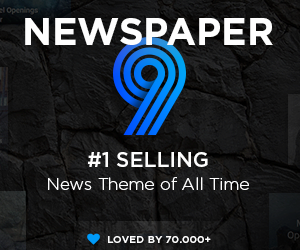 After purchasing the theme, you can choose among 16 custom skins for different industries, e.g. marketing, corporate, finance, web design, SEO, mobile and app development, startups, etc. The number of opportunities this template gives you is really striking. What’s more, some more skins are on their way and will be released pretty soon. However, Creatica template is great not only in terms of its inclusiveness. This theme features all the most-wanted plugins of 2018 and brings them to you free of charge. 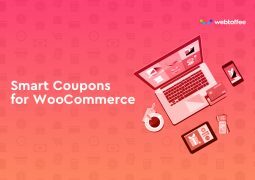 For example, WooCommerce lets you run an e-store trouble-free. Next, with Revolution Slider, you’ve got a chance to create a striking above-the-fold slider that glues new site guests to screens. Then, Creatica is multilingual-ready thanks to WPML integration. And finally, here you go with Visual Composer, one of the most popular and most wanted WYSIWYG editors for WordPress. 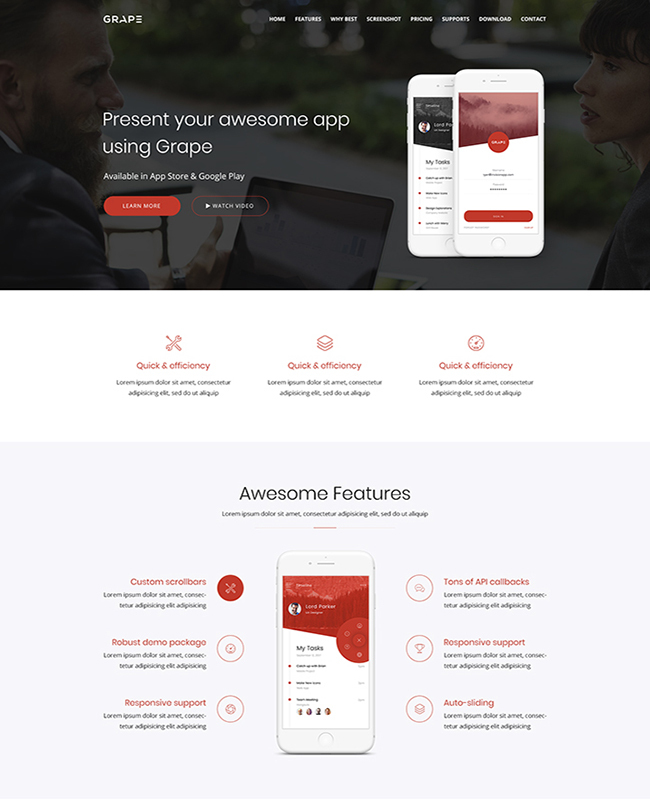 GRAPE is a template that lets you create an ultimately stylish app landing page. Its UI is unconventional thanks to the abundance of negative space and fresh red-n-white color palette. What’s more, the template actively incorporates microinteractions, providing for enhanced website scrolling experience. It’s worth mentioning that the template features a custom-tailored set of UI elements, such as icons, shapes and imagery. The GRAPE template also offers you 3 landing page variations to choose from. As a result, you can opt for a variation that best fits your unique needs and professional vision. The theme is built with flexible and lightweight Twitter Bootstrap 3.3.7. It’s fully responsive and brings you a wide number of post formats. 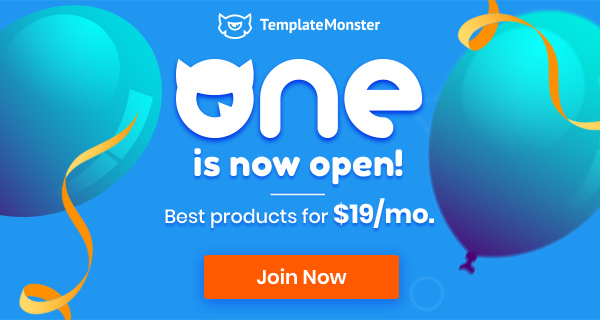 Moreover, for simple customization, the template incorporates King Composer Page Builder, which turns the customization of your landing page into a piece of cake. 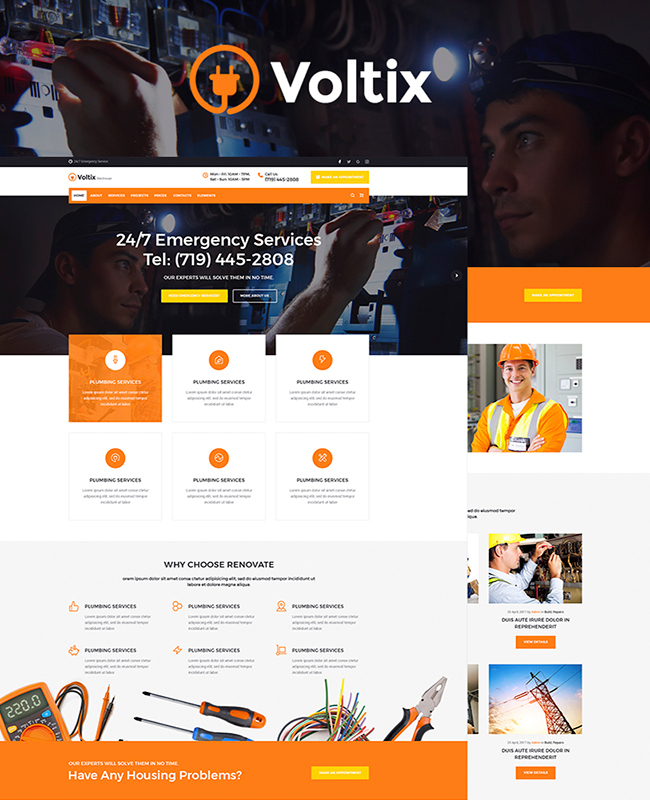 Voltix is a template that’s ideal for offering electrical services and gadgets repair. This theme brings you both incredible functionality and efficient UI. Moreover, it gives you a chance to present your services in the best light within a clear user interface. With Voltix, you can arrange appointments online, manage your ongoing projects, run a lively blog, introduce your team members, show off testimonials and much more. Moreover, if you’re into selling some equipment, you’ll find the provided WooCommerce integration handy. With this most popular e-commerce plugin, you can jumpstart your e-store in a couple of clicks and start adding products within a simple store owner’s backoffice. To customize Voltix, you don’t have to possess any coding skills. You can create pixel-perfect page layouts and add content to pages in visual mode thanks to the integration of Elementor Builder. All this makes Voltix a perfect option if you want to run a gadget repair/electrical services website. 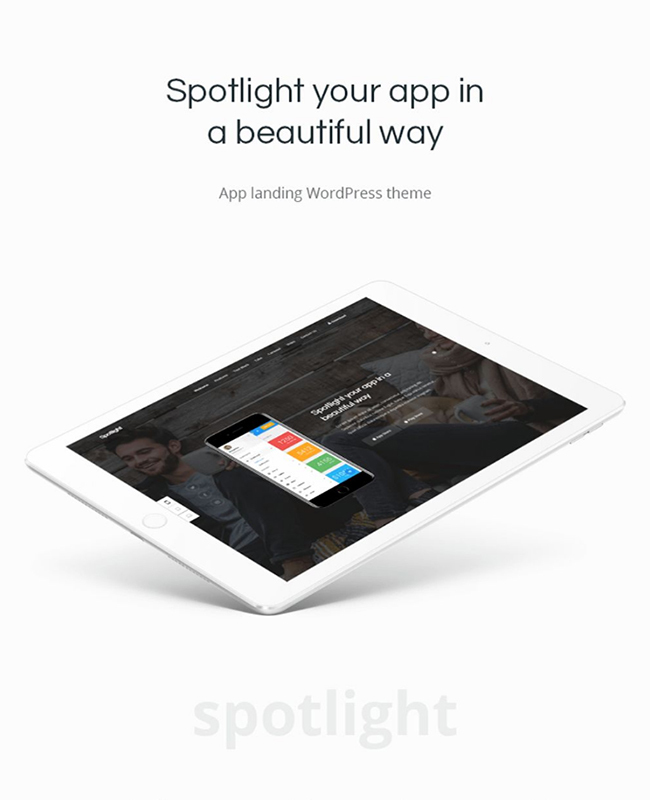 If you’re searching for a perfect way to establish your app’s online presence, embrace Spotlight. This ultra-modern theme is inspired by the latest web design trends and has the feel of a custom website design to it. The template opens with a fullscreen slider, which in fact is the window displaying your website pages. As users click through the slides, they learn more about your app and see the background image gradually move up. On their way, users will be presented with different content types, including embedded videos, tabs, post carousels, contact forms, etc. In fact, the Spotlight theme comes with several styles on board. It comes in dark and multicolor versions and has different custom-tailored designs for 3 types of devices (iPhone, iPad and MacBook). So, if you’re looking for a way to present your app that sticks in users’ minds, you’ve found it with the Spotlight template. Don’t miss your chance to experience the Spotlight’s greatness by launching its Live Demo. 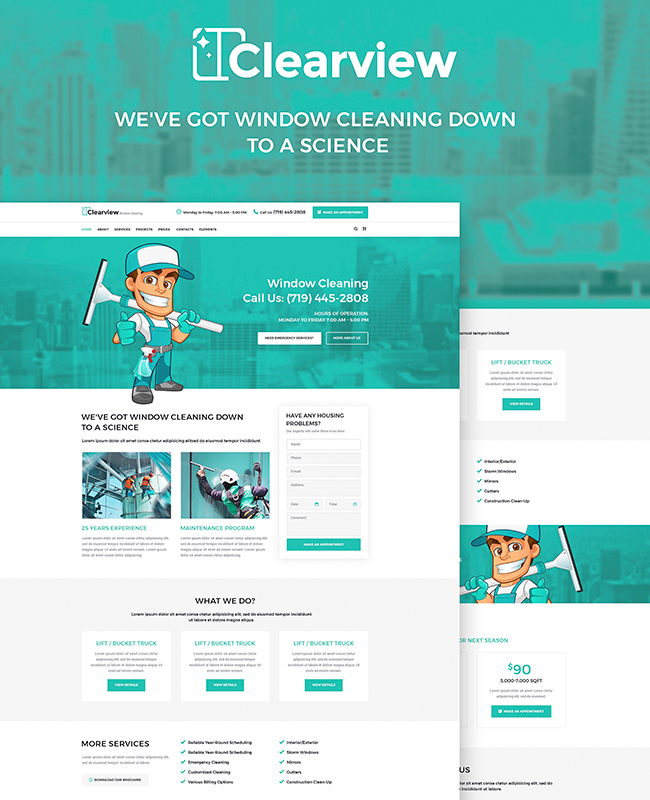 Clearview is an ultra-clean and fresh template for window cleaning services that prioritizes UX and UI in the first place. The theme opens with a spacious informative header that lets you provide your clients with the most crucial information, such as your contact details and working hours. What’s more, there resides a pretty noticeable ‘Appointment booking’ button, which is underpinned by the full-blown online appointment booking functionality. With Clearview, you get all the extensions you might need to create a flawless website and even more. Firstly, the theme incorporates 7 header and 3 footer versions. Next, it brings you over 35 widgets to structure your pages’ content. Then, you’ve got a chance to build one of the most appealing blogs choosing from 4 ready-made blog layouts. Finally, the theme also integrates WooCommerce and is ready for powering an e-store on the fly. Needless to say, the Clearview template is SEO friendly, cross-browser compatible and flawlessly responsive. 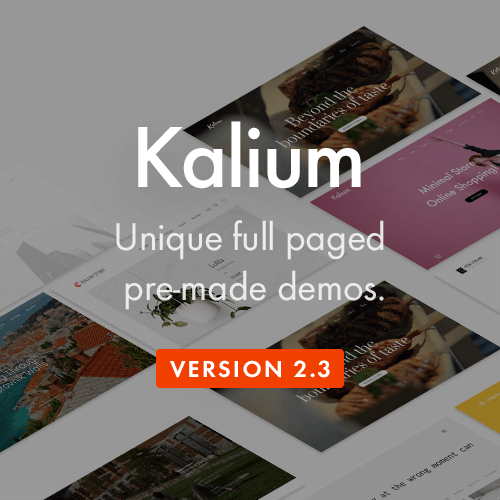 So, don’t miss your chance to check out its Live Demo to experience this theme in full blossom. 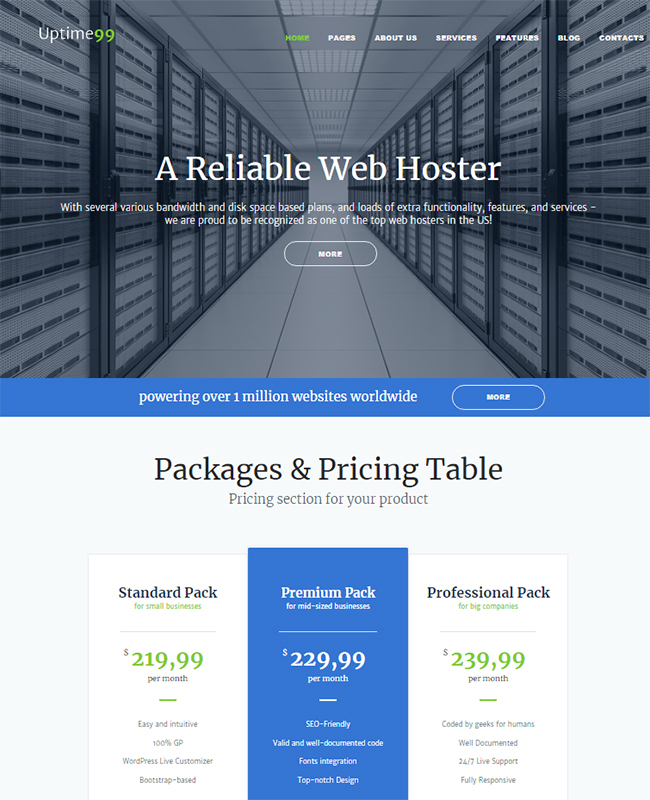 Are you a hosting provider and want to drive traffic and sales to your business? Then, you need to power a top-notch web presence. Uptime99 is a template that’s optimal for this. It’s built to expand your target audience, drive conversions and turn more users into your loyal clients. This is achieved thanks to the special attention given to the presentation of your services and hosting plans. Within the template’s pre-made pages, you’ll find multiple sections that let you uncover the greatness of your services in a number of ways. Needless to say, there’re no boundaries in terms of the template customization. You can adjust your content positioning and look in a jiffy thanks to the prebuild Power Builder, a revolutionary plugin that brings you the whole new way of working with the content. No coding skills are a prerequisite to starting working with Uptime99. What’s more, thanks to the round-the-clock support and comprehensive documentation, you’ll never be lost on your way. 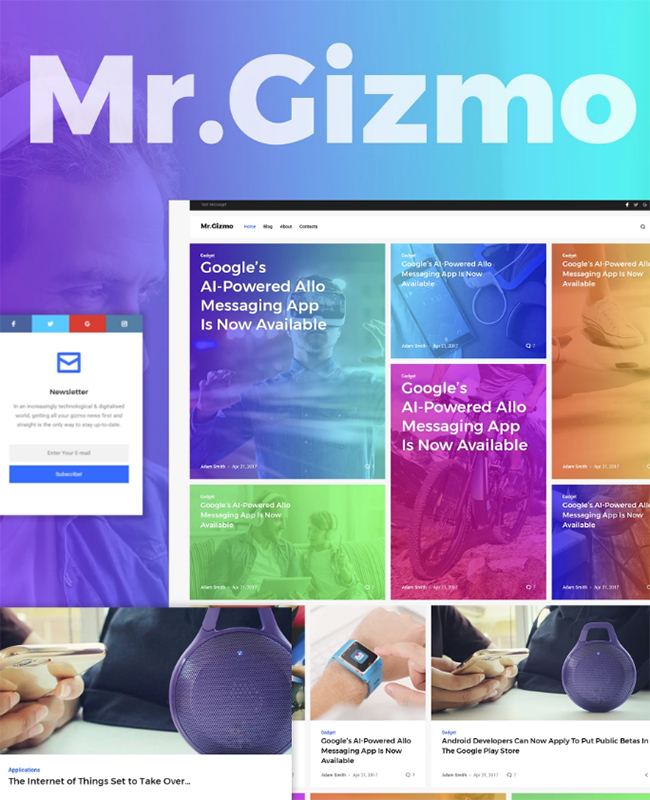 If you’re an ardent follower of the latest technology trends and want to establish your sound web presence, MR. Gizmo is right the template you need. It’s built to let you power a hard-hitting blog on latest technologies and the world of web. Let us just quickly enumerate the main UI draws of the theme as UI is crucial for uncovering your modern vision and expertise. So, if you know the modern technologies inside out, you’ll appreciate the gradient imagery and backgrounds, asymmetrical grids, variegated typography and smooth scroll that this template feature. What’s more, the theme’s developers know how crucial SEO is for letting you reach out to the global audience. That’s why they polished the theme’s coding to perfection and additionally optimized it for the best SEO results. It’s also worth mentioning, that Mr. Gizmo theme is Ecwid ready. So, whenever you feel like running and e-store using this template, you’re more than welcome. Wicon is a classic template to make a sound entry into the world of digital technologies. The nature of the template is universal. You can use it either for promoting digital products, selling gadgets or running an avid blog that covers the latest technological advances. To provide for your site’s best possible effectiveness, the template is thoroughly optimized for SEO, speed and conversions, which makes it an ultimate sales booster for your business. What’s more, this theme is fully translation-ready, which lets you rapidly embrace the needs of the global market and take your enterprise to the level of global success. With Wicon, it’s not rocket science to make the template look the way you want. 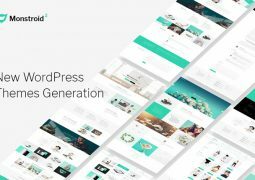 This theme includes the latest version of GT3 Page Builder and brings you a comprehensive system of shortcodes and modules to work with the content on the fly. All in all, if you’re searching for a harmonious and balanced template for software and apps, Wicon is one of the best choices on the market of 2018. If you want to make a sound statement in the world of cryptocurrencies, you can’t make it better than with a template tailored specifically for this industry. 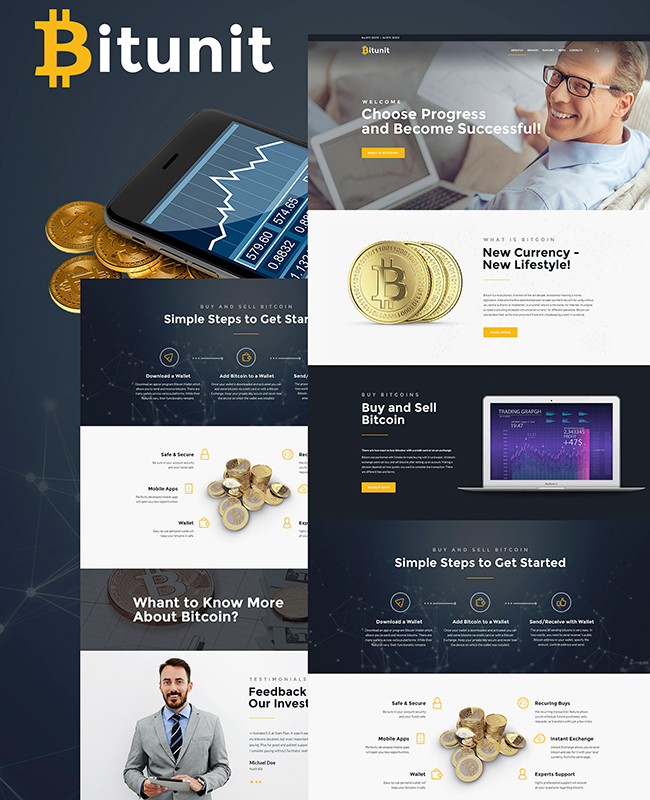 The Bitunit theme has a unique design that combines particle backgrounds, the elements of Material UI and a number of UX improvements that make your website superior to others. 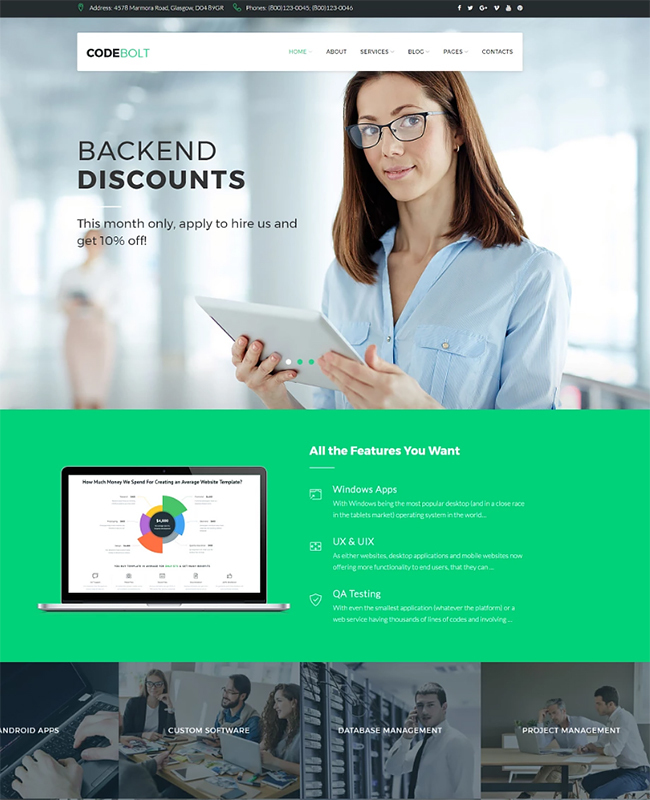 With the goal of making your website unique and classy in mind, developers equipped this template with a fresh homepage layout, a number of header and footer styles, and upgraded Services and Contacts sections. What’s more, they added a nice extra for you, which is a JetElements value pack. Within this package of plugins, you’ll find a number of new-gen elements that take the UX of your website up a notch and turn it into a compelling message why users should opt for your services. What’s more, Bitunit template has all the tools you need for simple and trouble-free customization. For example, it’s pre-packed with Elementor drag-n-drop editor and a number of modules that turn adding content to your website into a piece of cake. TechnoFix is a welcoming WordPress template that prioritizes user browsing experience over pure aesthetics. 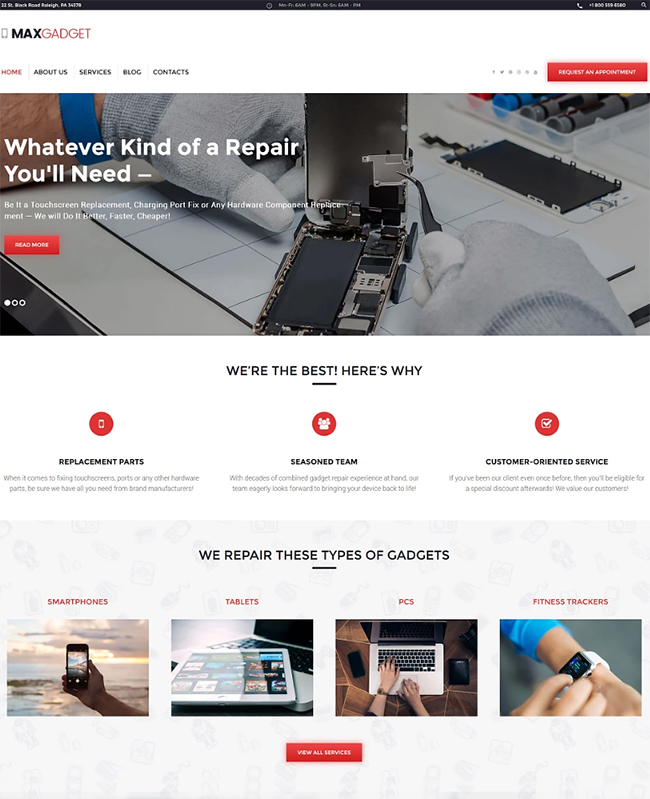 With it, you’ll be able to create an appealing gadget repair website that makes users eager to opt for your services over others. 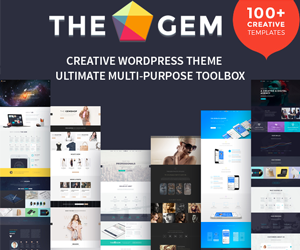 Developed by ZEMEZ, one of the years-long leading template providers, this theme has a nice balance of attractive UI, rich functionality and ease of customization to it. In term of functionality, you get a number of premium plugins pre-packed free. These are the plugins that upgrade the look and functionality of such sections of your website as Services, Testimonials, Team, Gallery, etc. What’s more, the theme brings you two editors that free you from editing the code. They are the drag-n-drop Power Builder and Ajax-based Live Customizer. The former simplifies adding content to your website. The latter galvanizes the customization of theme options as no page reloading is needed to see the changes in action. Needless to say, such a great theme comes with equally stellar technical support and extensive beginner-friendly documentation. Webbox landing deserves falling in love with in 2018. This template is a sound option if you need to build a compelling presentation of your digital product that yields conversions. The theme’s UI is underpinned by juicy geometric backgrounds, impressive pixel-perfect imagery and custom flat icons. It comes with a thick package of custom widgets that diversify the way the content of your website is presented. What’s more, this theme offers you a nice way to create unconventional layouts and add content with Power editor. Next, it features tabs, counters, blurbs, buttons and other static elements that let you present content in a more catchy manner. The theme also incorporates all the trust signals needed to make your software landing page more reliable for your audience. To spice up your website in a simple way, Webbox brings you a rich collection of modern fonts, a number of header and footer variations and an impressive number of modules for adding content. This theme is ideal for promoting your digital product in a modern and appealing manner on the fly! Throwing up an event that says a new word in the word of Internet technologies is a tough task. Powering a website for such an event is tough as well, as it’s hard to find the theme that accommodates all the needs of such a website. Fortunately, ZEMEZ team created a cutting-edge template that’s specifically tailored for establishing web presence of hackathon and geek conference events. 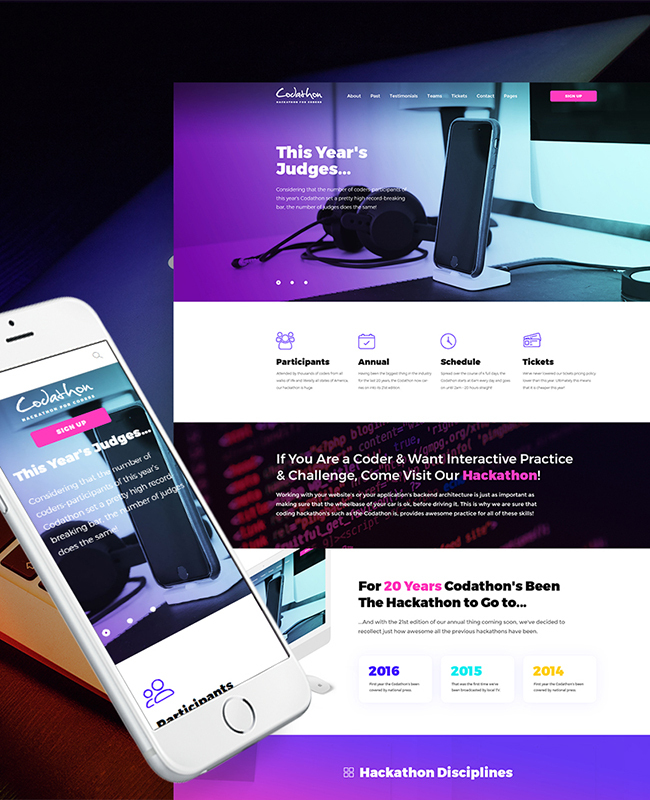 Codathon is a modern template that features bold fonts, gradient backgrounds, simplistic icons and catchy CTA buttons to ensure that you persuade your target audience to visit the event. This template is optimized for rich UX and lightning-fast performance. The demanding website elements, such as galleries load later on with LazyLoad, ensuring that every page of your website loads in a twinkle of an eye. What’s more, the gentle incorporation of LazyLoad let designers animate the content that appears later for a more immersive experience. From the functional standpoint, this theme has all the ingredients for making it to the top. It’s equipped with visual editors, feature-rich plugins, flexible layouts and much more. Check the template’s ‘Details’ page to learn more about the functionality that the Codathon theme harbors. CodeBolt is a crisp template to establish a classy web presence for your web dev company. This theme has a pleasing and eye-friendly color palette of lush green and white by default. No doubt, you can switch to another color scheme within a couple of clicks and preview changes immediately thanks to Live Customizer. The Power Builder also comes along and brings you its 25+ comprehensive content modules that you can simply move around and resize with drag-n-drop. It’s worth mentioning, that the CodeBolt theme also includes the set of premium Cherry plugins that are meant to transform the UX on every page of your website into a new-gen experience. What’s more, this template is Ecwid ready. This means, that if you’re after selling something on your website, the initial e-commerce setup won’t take more than 5 minutes. Last but not least, the CodeBolt theme is built in direct compliance with the latest published Google’s SEO algorithms and is additionally optimized to fit the demands of Bing and Yahoo. So, establishing a sound web presence for your software company has never been simpler than with CodeBolt! The final item in our today’s collection is an eye-candy that helps you make a lasting impression on your website guests and beat the competition with your web presence. This theme features clean design and a moderately stimulating color palette of light grey, saturated red and rich black. Such a color palette ensure the great amount of attention that your CTA buttons get, as well as eye-friendliness and improved readability. The cornerstone of the MaxGadget theme is the well-delivered presentation of your services and pricing. A thick pack of UX elements come along and ensure that you get the highest conversion rate possible. Among them, we should name a handful of nice-to-have widgets and content modules, interactive forms that work out of the box and feature-rich Appointment Manager that lets users set up a meeting with you online. Needless to say, mastering the code is not a prerequisite for customizing this template. You can edit it in WYSIWYG mode and see the changes right after their implementation thanks to enhanced WordPress Live Customizer. 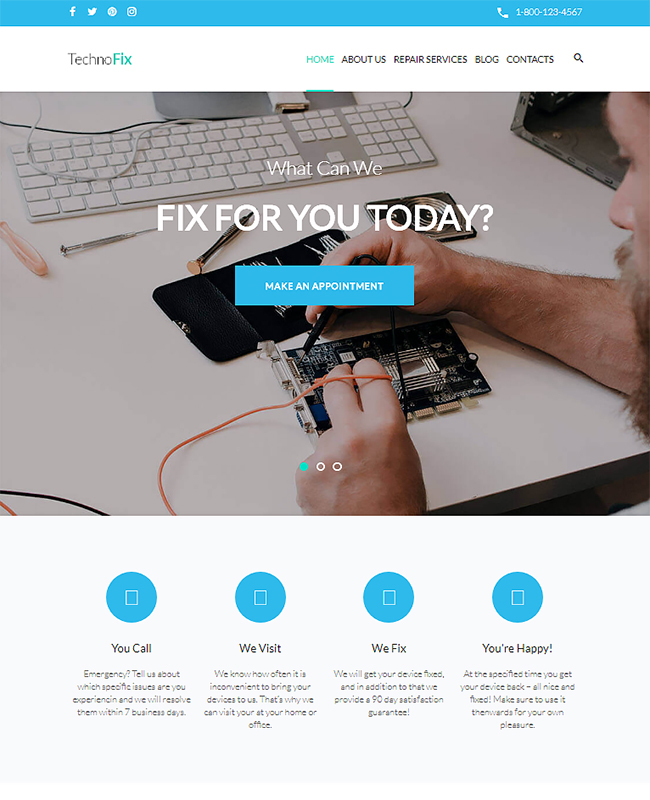 What’s more, whenever you feel lost, you can contact 24/7 customer support that you get access to for a lifetime with this amazing gadget repair template. 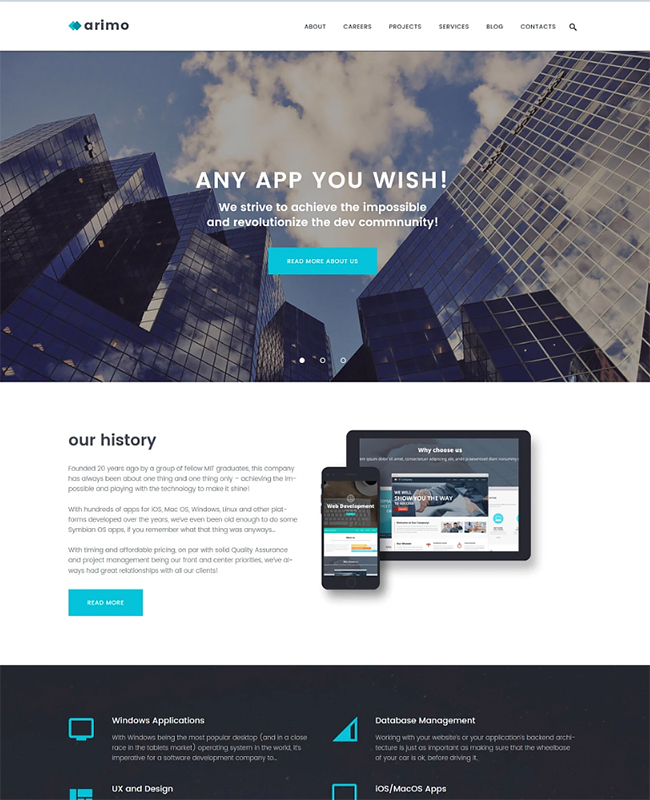 The newest templates for apps landing pages and tech startups are impressive, aren’t they? Each of them has something special to it and ensures that your website is both modern and unique. We hope you were able to choose the theme that best incarnates your professional vision. Do not hesitate to go for it and make it to the top with your trendsetting 2018 website! We wish you good luck in creating the tech website of your dreams. Stay tuned!